You can easily manage the capacity of your small groups, effectively allowing you to cap groups when they are full and direct people to other groups. So you might choose to set the capacity based on the venue size of the usual host; while some churches may simply have an optimum group size they wish to follow. 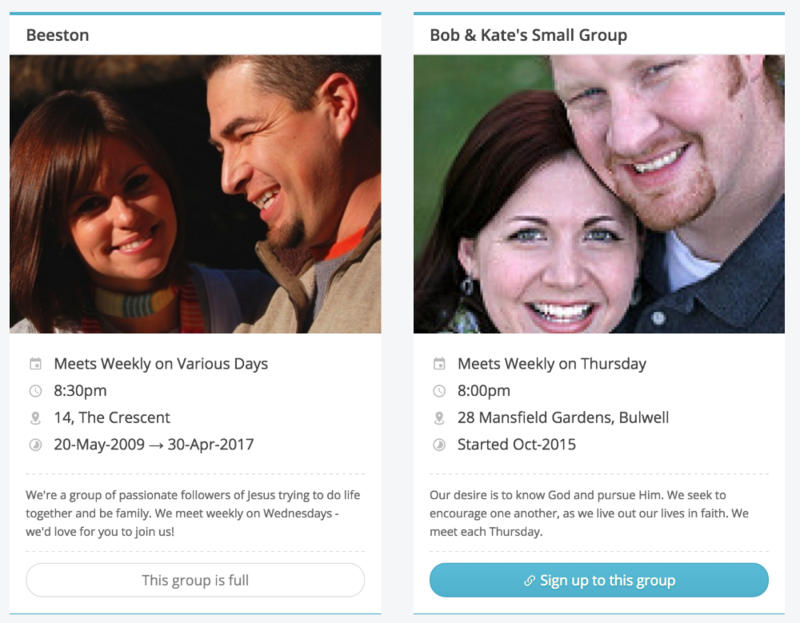 For churches using the Nelson Searcey Activate small group model, greater small group engagement is encouraged by setting group capacity restrictions that encourage people to sign up quickly before their desired group fills up. It's also great for newer people to have a visual indicator of the size and capacity status of a group when they're choosing a group - they might be less inclined to sign up for an empty group. In "Small Groups" > "Groups", select a small group and click "Edit group". Scroll down to the "Sign-Up" settings section. Tick to enable "Sign up through Group page". You can optionally tick other sources where sign up is to be made available. You can now specify the range of dates that group sign-up will be open for. Note that the start sign-up date is different to the group's actual start date, specified elsewhere in your group settings. Enter your group capacity. Also, before moving on, you can use the drop-down menu to choose when sign-ups will be able to see other members in the group - either immediately after sign-up, or only when sign-up closes. You can also send an optional sign-up confirmation email. For your small group to be visible in My Church, Connect or Embed, you must set the visibility settings; ticking to make the group visible. Finally, click to "Save changes". 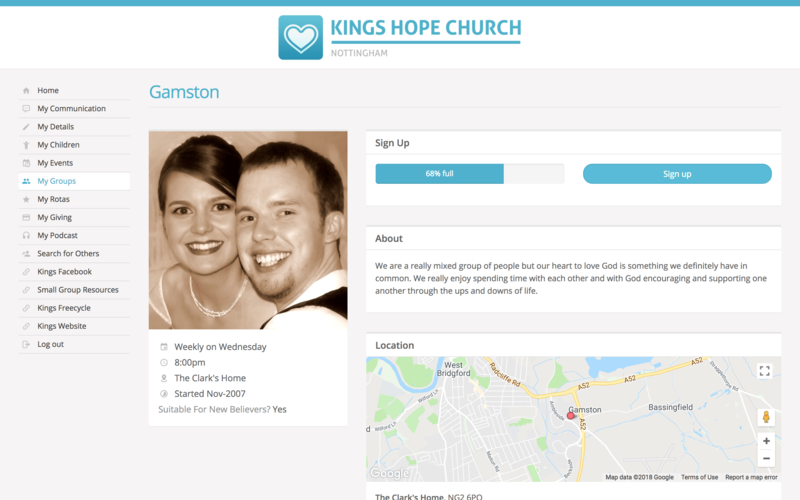 When people are signing up to your small groups through My ChurchSuite, they'll see a 'group full' message if that group's capacity is reached. Similarly, if signing up through the embedded list of groups in your website, groups that have reached capacity will be clearly shown. We continue to display groups, even if they are full, otherwise people will not see a clear picture of your small group ministry, perhaps thinking there are only one or two small groups, when in fact you actually have 50 small groups but 48 of them are already full! In "Small Groups" > "Reports", there's a handy "Capacity" report that gives a quick visual report on how sign ups are progressing. This report can be printed or downloaded in CSV or PDF format. You can also communicate directly from the report using the Communicate drop-down menu.